Iconography has a style and technique that is unique from most other art forms, religious or secular. Learn how to create the images of the holy people most influential in your spritiual life. We all have different ways we find God. Painting is a beautiful outlet to use to connect with your faith and spirituality. The workshop is designed to allow you to grow as an artist and in your faith. Finding a new way to worship can redefine your relationship with God. 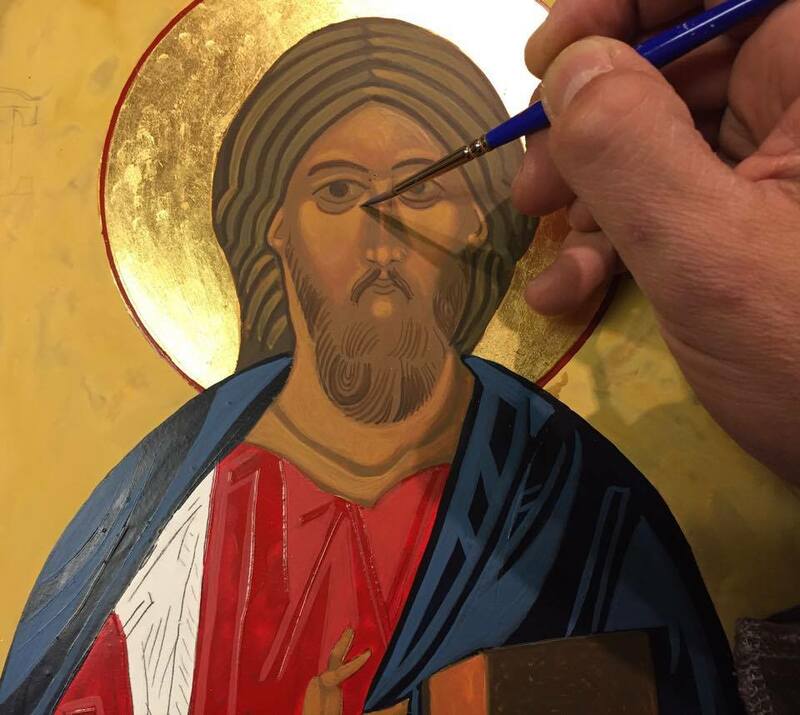 More and more Western Christians are rediscovering Eastern icons and the art of iconography. Their mystery, their beauty, and their ancient, sacred language speak to us in a sublime and powerful way. Yet icons and the process of creating them is not merely an artistic or aesthetic exercise. Icons are prayer, manifestations of God-Dwelling-Among-Us in the flesh, and invitations to deeper union through the portals of their surface. (Age 19+) - Begin on Friday evening from 7 pm - 9 pm, continue on Saturday from Noon - 7 pm, and finish on Sunday from 1 pm - 6 pm. (Ages 13 - 18) - Begin Saturday afternoon from 1 pm - 7 pm, continuing on Sunday from 1 pm - 6 pm. (Ages 6 - 12) Run from Saturday Noon - 6 pm. All classes will have coffee, tea, juice, water and snacks served several times during each day’s session. 5545 NORTH PAULINA STREET, CHICAGO, IL 60640 | © 2017 All Images Copyright Trinity Icons.